Things are moving fast on some important items out of Town Hall and the meeting date for the next Board meeting has changed. The Town of Davidson Board of Commissioners will meet on Monday, February 27 instead of Tuesday, February 28. They will meet in the Davidson Town Hall board room at 4:00 p.m. for their work session and at 6:00 p.m. for their regularly scheduled work session. The agenda includes two very hot topics for town. At the 4pm session, there is an agenda item titles RAP Implementation "review changes" . There is no detail around what that may be. aShortChronicle has reported extensively on this controversial subject including the recent effort on a petition to stop it from moving forward as planned. That petition can be found here and as of Friday AM has 544 signatures. That's a lot of voters to upset in an election year if the Town proceeds as-is. The second item on the main agenda regards the Beaty Street RFP. aShortChronicle has learned that the list is now down to one project, a project called "The Luminous" from Davidson Development Partners, LLC. "The Beaty Street selection committee met on February 15 to vote on a developer for the property. They voted to move ahead with the ‘Luminous” proposal. The vote was four in favor of Luminous, one in favor of Blue Heel, and two abstentions. The committee members that abstained wanted it to be clear that they abstained due to objections voiced in the letters to the board of commissioners from their neighborhoods on February 13 and 14." It is unknown what was in those letters, but they must have been interesting. Unfortunately we have not had time to track that down. The Luminous proposal includes a 100 room hotel. 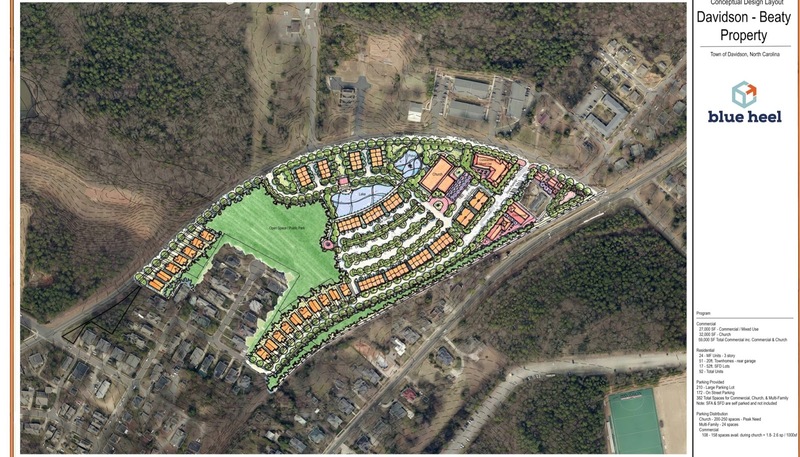 A specific Hotel chain is not mentioned, but this sets up a potentially interesting competition between a hotel as part of a town promoted project and the hotel that is being proposed at Exit 30 next to CSD. 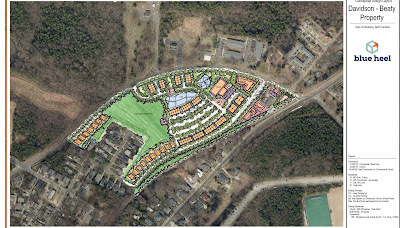 aShortChronicle has also learned this week that the Exit 30 hotel developer plans to submit a revised plan sometime soon. Check here for that. The Luminous hotel appears to fit within town guidelines where as the Exit 30 hotel will be looking for at least a height variance and likely a parking variance. Davidson regularly participates in the national "Citizen Survey" put out by the National ResearchCenter, and it's that time again for citizen input. Davidson always does well on the survey when compared to its peers nationally. That's not surprising as the town is a great place to live (if it can keep it that way). What is always most interesting are the 2-3 custom questions each town is allowed to ask. Watch out for those! The questions asked and the choices for answers tell you a lot about the agenda Town Hall will be pushing in the future. The Town of Davidson is surveying a randomly selected pool of Davidson citizens to gauge how we are doing as a town government. The survey, administered by The National Citizen Survey™ (NCS) was developed by the National Research Center (NRC) to provide a statistically valid survey of residents’ opinions about the community and services provided by local government. This week, postcards are being mailed to 1,500 randomly selected Davidson residents all over town, to alert them that they will receive the survey being mailed February 22. Recipients can either fill out the mailed survey and return it to the NRC or go online to complete the survey. “The goal is to get citizens’ feedback to help the town set benchmarks for tracking quality of service provided to residents and assist the board of commissioners in making decisions that affect our community,” said Town Manager Jamie Justice. “We encourage our citizens to participate if contacted. The National Citizen Survey™ (The NCS™) was among the first scientific surveys developed to gather resident opinion on a range of community issues, and has been used in more than 350 jurisdictions across 46 states. The NCS™ is a high-quality cost-effective scientific survey of resident opinion and an important benchmarking tool that allows for comparison among communities. Communities using The NCS™ have reported that the tool helped improve performance, strengthen communications with community stakeholders, and identify clear priorities for use in goal and budget setting. One of the worst kept secrets around town became official this past week with the announcement in Business Today that Rusty Knox will run for Mayor of Davidson this November. It was known that Knox was strongly considering a run, but with an official announcement Davidson will have its first contested mayoral election since 2011. Interestingly, the linked article was apparently in the print edition last weekend, but it didn't get up on the web until Friday the 17th. Word started to spread Thursday when a photo of the print article was posted to Facebook. aShortChronicle spoke to Knox on Saturday and he says the response has been overwhelming and positive as people have heard the news. Knox is looking to carry on the family tradition of service to the town. As most readers will know, Rusty Knox is the son of long time former Davidson Mayor Russell Knox. Several years ago a regular reader told aShortChronicle the last time they felt that town government truly represented the citizens was when Russell Knox was mayor. That should be welcome news to those who cherish Davidson's small town character. Knox has not officially filed with the Mecklenburg County Board of Elections but tells aShortChronicle that will be happening soon. In researching this post, we came across another candidate who has made it official by filing but has not officially announced. Apparently, former Davidson Commissioner Laurie Venzon filed back in November and has been raising money ever since. According to this Statement of Organization, "The Committee to Elect Laurie Venzon" was formed on November 1st. The Organizational Report shows the campaign has purchased a domain name for a website. Finally, the 2016 Year End Report filed at the end January shows Venzon has been raising money, over $2500 by the end of 2016. Venzon was elected as Commissioner in 2007 and served through 2013 when she and her family moved to Kansas City. They returned to Davidson last year. Davidson politics appears to be entering uncharted territory. It may be unprecedented to have multiple candidates vying for office this early in the election cycle. Also, Davidson campaigns have historically been very low budget affairs with candidates often committing to raise little to no money to avoid the campaign finance paperwork. With new candidates in the mix and significant money already being raised, 2017 is shaping up to be an eventful year. Mayor John Woods will have quite a race on his hands, one could say it would be the Mt Everest of uphill battles, if he decides to run for reelection. 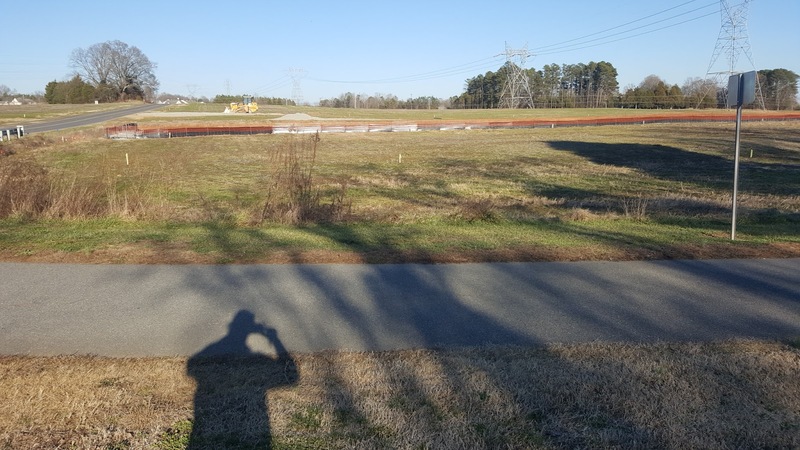 The Davidson Board of Commissioners meets Tuesday and the agenda is chock full of items moving various development projects forward. First, there is a resolution regarding Bailey Springs. There is no information attached, and it only says "accept offer & advertise upset bid process." That may be a reference to the town plan to build a significant affordable housing development in the neighborhood. aShortChronicle had previously reported on the fact the initial "bids" were for the town to give the land away for free. It includes an annexation request for the Westmoreland Farm property off of Davidson-Concord Road. 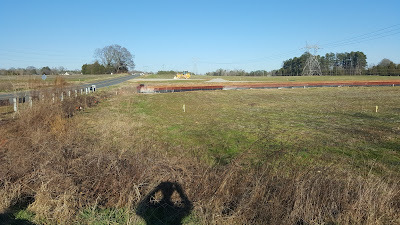 That will be the site of the West Branch project which will bring 300+ homes to that corridor. aShortChronicle told you last week about activity there indicating development was about to start. Annexation pretty much seals the deal on that project getting started. The Town Board also will revisit a budget amendment to move forward on the analysis for the public facilities RFP. Last month Commissioners balked at the price tag of $306.5k. The new budget amendment is only $241k, so you can bet this one will be approved. The Board also has some text amendment and rezoning requests on the agenda for approval. What's notable about these is what they do not include. They do not include the controversial Rural Area Plan (RAP) rezonings and text changes. aShortChronicle has covered these town initiated rezonings extensively. The absence of these being included in this month's agenda may be taken as a sign the town is at least listening to residents' concerns. Opposition to these RAP rezonings has been rising. In fact just yesterday a Change.org petition from "Citizens for Smart Growth" began circulating opposing this plan. You can find the petition here. Quite the Valentine's Day for the development community at Davidson Town Hall. 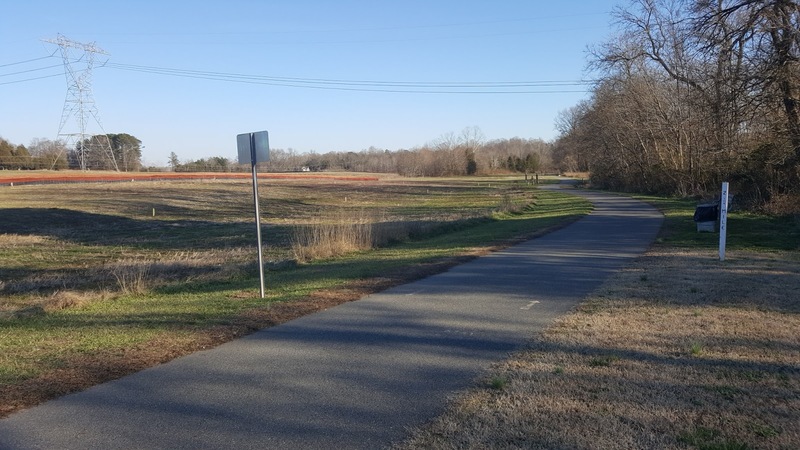 For more than a month now, proposed zoning changes to support Davidson’s Rural Area Plan (RAP) have been roiling local discussions in Mecklenburg County’s northernmost municipality. Starting with the official public hearing on January 10th on the proposal to rezone 2048 acres in the town’s rural jurisdiction, through a community chat with Commissioners, another Board work session, a Planning Board meeting, and a Q&A session on the subject this past Saturday, elected officials and town staff have been making a hard sales pitch. All of that’s in addition to staff putting out multiple videos and frequently asked question (FAQ) documents on the town’s website. The major concerns from citizens revolve around why the town would proactively rezone roughly 1300 acres of land from Rural to Neighborhood General, Neighborhood Edge, or Neighborhood Services – designations that allow more intense by right development – without having any proposals on the table from landowners or developers. It should be pointed out that many who oppose this proactive rezoning and have commented at these public meetings will say in the same breath they support the RAP. They think it has lots of great recommendations, but they are concerned these mass rezonings needlessly help open the door a little wider for more development in these areas. It is not about saying these areas should never be developed. As one person at this past Saturday’s Q&A session put it, it’s about doing what can be done to control the “velocity” of that development. The town’s response has largely been to make two different points. First, they say going forward with these rezonings now (which the town confusingly calls “map amendments”) is the only way for the town to legally enforce the recommendations in the RAP. Second, there is a concern that if this action is not taken now, future Boards might not implement the recommendations in the RAP. While the town might technically be correct with these responses, there is always more than one way to solve a problem. These responses also ignore the reality that even if this current Board was to approve this mass rezoning exactly as proposed by staff, there is nothing to prevent a future Board from undoing or changing pieces of it if it wanted to do so. No Board can ever really tie the hands of a future Board. Acknowledging the amount of pushback the proposed plan has generated, it seems like a good time to start talking about other options. For example, there is no reason the Town has to implement all of the changes at the same time. Why not implement the changes that are not controversial first and leave the more controversial pieces until later when more information is available? The town could implement the changes to rezone the Fisher Farm and Abersham properties for future Rural Reserve, never to be developed. It could also implement aspects of the Scenic Byway overlay district to further protect the Shearer Rd and Grey Rd corridors. 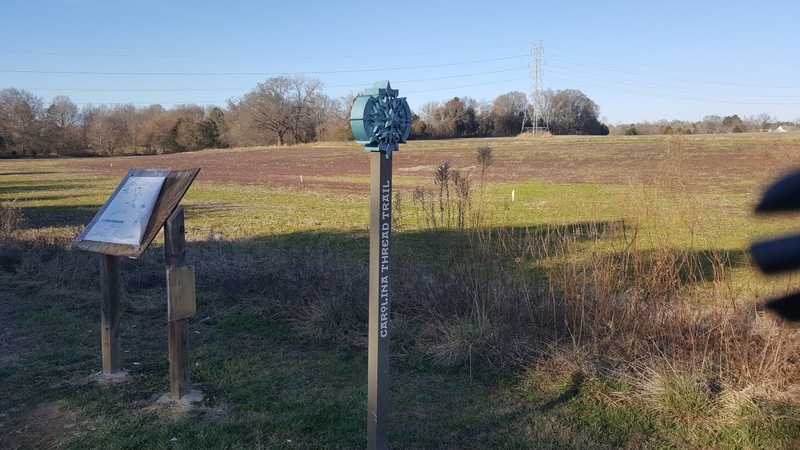 Finally, the town could implement some of the proposed text amendments redefining the Rural Area designation to raise open space requirements and reduce density. Doing this last piece without doing the more controversial rezonings would have the effect of making large scale development in the entire existing Rural Area more difficult and force developers to come forward with good solid plans and request rezoning at the time projects actually arise. It would require the Board to trust future Boards to stick to the plan, but as is clear, they have to do that anyway. Taking this kind of approach would allow the town to implement the best parts of the RAP while still maintaining a bit more control over future development. It would also dial down a controversy that doesn’t need to happen. On the other hand, continuing to defend this mass rezoning reminds one of an old saying. Almost as if on cue considering all of the concern around Davidson's proposed mass rezoning in the rural area, it appears a major development project on the edge of the rural area is about to get underway. In recent days hundreds of utility marker flags along with construction barriers have begun to appear on the old Westmoreland Farm property that will be the site of the new 306 Home West Branch neighborhood. 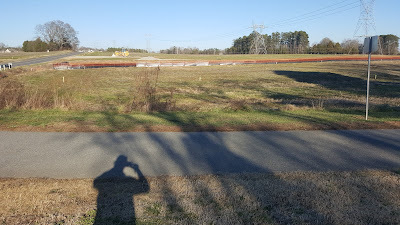 An unconfirmed source who spoke with one of the entities involved with the project recently told aShortChronicle that 2017 would see infrastructure build-out for the neighborhood with home sites being built in 2018. With dirt moving now looking imminent it appears those unconfirmed reports may be true. When it really sinks in how close this development will be to the existing greenway, it will be interesting to see what people think. 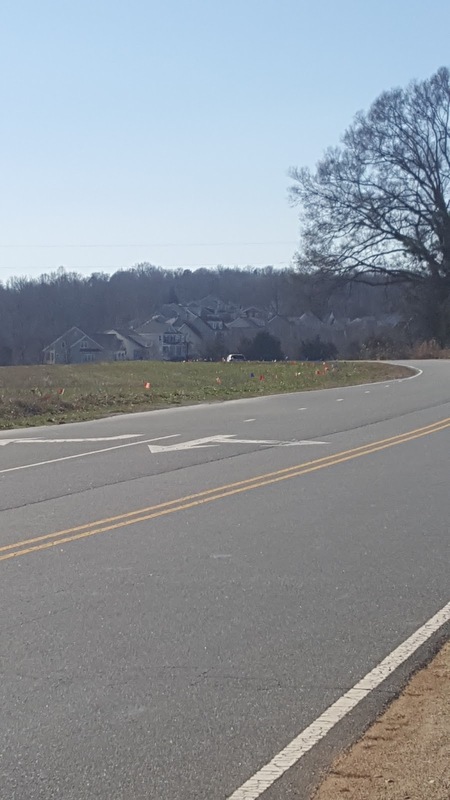 Hopewell Baptist Church on Davidson-Concord Road hosted a presentation and Q&A session on Saturday morning regarding the planned mass rezoning being pushed by Davidson Town Hall. As a sign of how much interest there is in the project, the event drew a room full of people - somewhat surprising for a 9am Saturday meeting. The meeting also drew all of the town's elected officials except Brian Jenest who was out of town. Finally, it looked like the entire Planning Department was there as well as other senior staff. The meeting started off with the now familiar history of the Rural Area Plan project and all of the communication and citizen input along the way before that plan was approved by the Board last September. In a way, this first part seemed like an attempt to justify why the town was going to do what it was going to do and if you missed something over the last 18 months, you must not have been listening. It also seemed like deja vu for those who may have watched the Catalyst Project roll-out unfold. In both instances, if the communication had truly been as clear from the beginning as the Town seemed to think, the Town likely would have avoided the late breaking pushback. After a a nearly 60 minute presentation the Q&A portion started. 30 minutes after that, it was clear that few in the audience had changed their minds. The themes were the same as those heard at the Jan 10th public hearing. 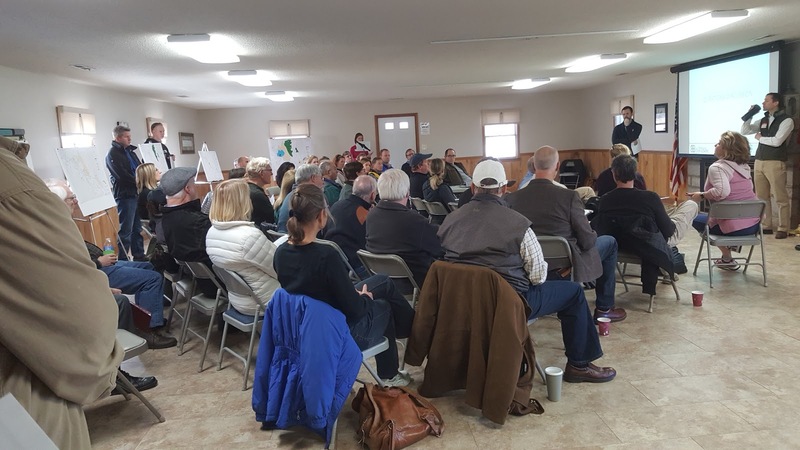 People like the Rural Area Plan itself, but are concerned about the implementation of these mass rezonings which allow for more intense development on portions of it. People want that part of the implementation more tightly controlled. The town keeps having these presentations and meetings. They've made videos and written FAQ documents. In fact, they've gotten quite smooth at delivering their message. The sales pitch would likely be very effective to people who weren't really paying attention. The Town thinks it is communicating, and people just don't understand. The reality is the people do understand what these mass rezonings mean, and they do not like it. As reported last week, the town received several proposals a couple of weeks ago on its Beaty Street property. aShortChronicle obtained a link to the proposals from the town and put together the below chart comparing them as best we could across several categories. The two proposals highlighted in green have been selected for further interviews. That's per an email from Asst Town Manager Dawn Blobaum who is managing the project for Town Hall. 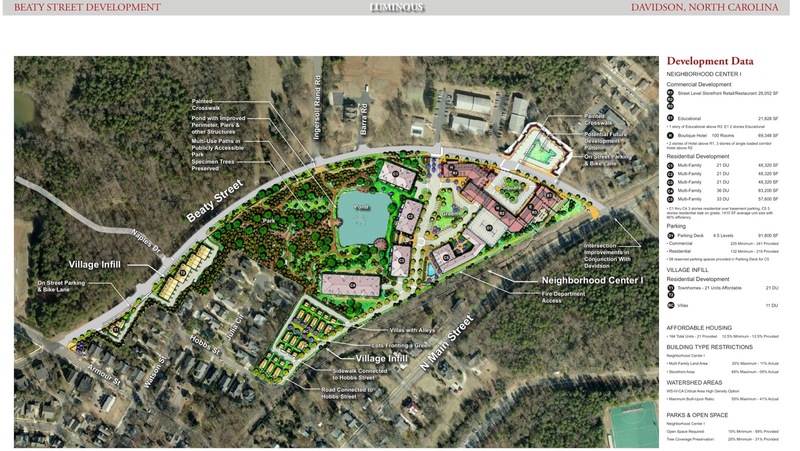 The proposals by Blue Heel and Luminous (aka Davidson Development Partners) clearly met the RFP's goals for mixed use development, so it seems understandable why these were chosen. See site plans below. "Our hope is to be ready for a vote at the March 14 board meeting. We are working on a date and venue for a public meeting prior to the February 28 board work session. When we get a determination on that we will get information out about it. The selection committee includes several neighborhood representatives; planning board, livability board, and design review board representatives; two commissioners; and staff." The two electeds on the selection committee include Commissioner Rodney Graham and Commissioner Stacey Anderson. On February 1st 2012 aShortChronicle published the first column of a blog intended to test an idea. "Can one person through a blog very few people would likely read make a difference in local government?" Five years and just shy of 650 posts later, I have the answer. That answer is "yes, but..."
"Yes" it's definitely possible, "but" it's a ton of work. From helping stop the bad idea of 4-year staggered terms at Davidson Town Hall in the early days to writing well over 100 posts on various aspects of the endless dirty deeds surrounding the I77 HOT Lanes project, I think the blog has had an impact in how people see local government and in what they pay attention to as important. Does it mean officials always now see things the right way or do a good job of communicating what they are doing? No, not by a long shot. Does it mean they have gotten better and have a harder time getting away with things? Yes. Yes, it does. Helping stop some bad ideas and seeing improvement in some areas are things I am proud to have been a part of over these years. It's also nice to see readership going up. Somewhat ironically, the last post I published before taking a break in January turned out to be the most popular post ever. 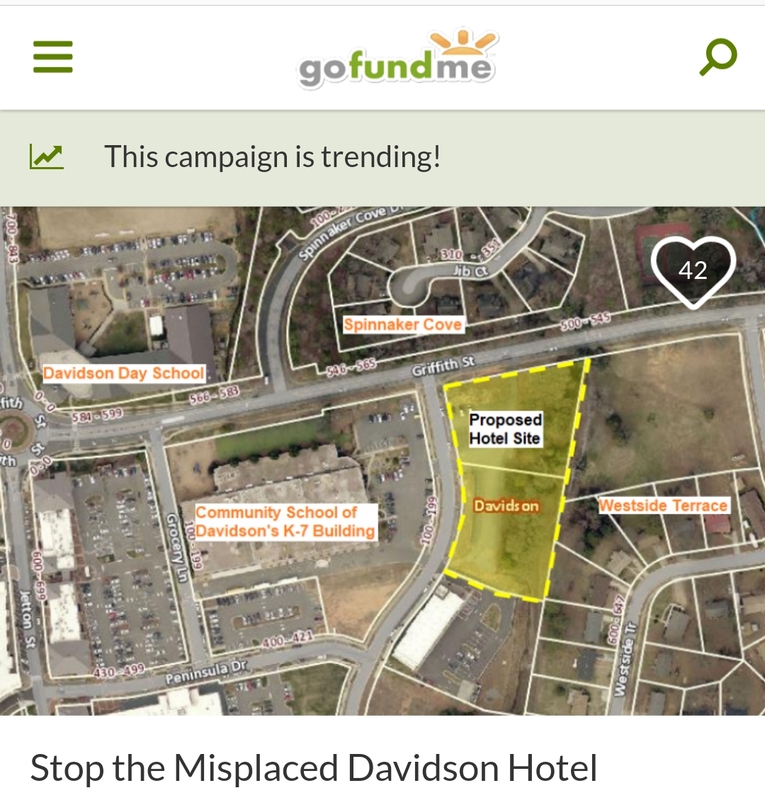 It was the first post about Davidson's plans to rezone it's rural areas. That post generated thousands of page views, receiving the the most hits in a single day of any over the past five years. It's now also solidly the most read post in the blog's history. All those things taken together make it worth the effort. However, time, or more correctly the lack thereof, has recently become a huge factor in my ability to keep doing this. The recent month off was due to a lack of time, nothing more. So, going forward we'll have to see where things land. It's an election year locally, so you know I can't stay away from that. It's also guaranteed to have more than its share of craziness in Raleigh and Washington to provide more fodder. We will just have to see how much time I have. If you see things going dark at aShortChronicle for a couple weeks at a time this year, don't think the towel has been thrown in. It hasn't. It just means life has gotten busy. Thanks to all the readers who have gone on this journey with me so far. It's been a fun five years!